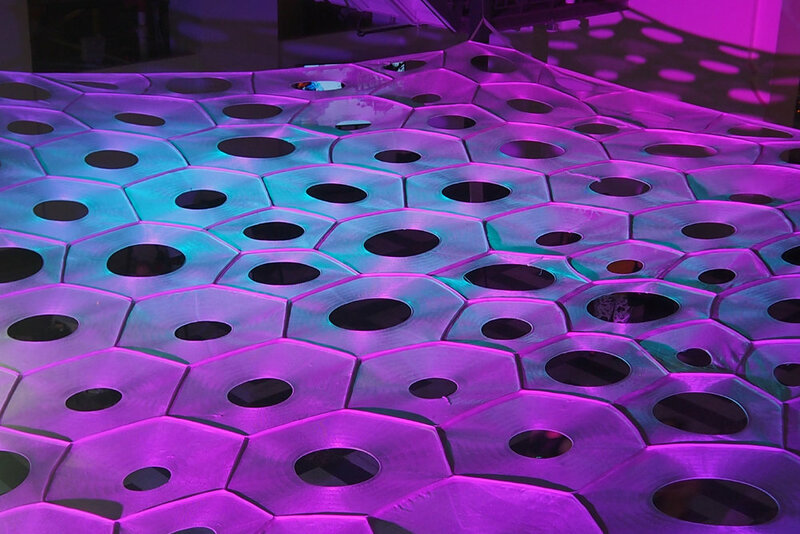 LUX is knitted light, immersing visitors in a responsive glow of photo-luminescence. The project addresses the theme of "life" through its design process, which is informed and inspired by life through its adaptive architecture and transformative nature. 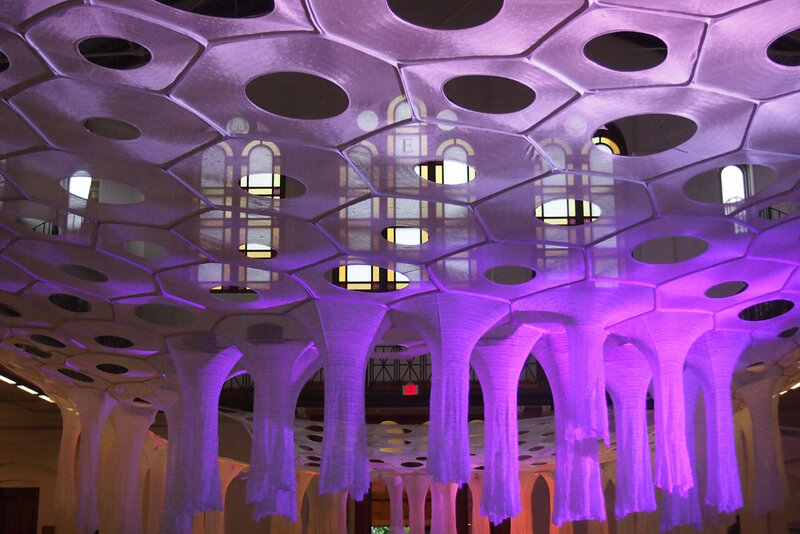 LUX, a lightweight knitted canopy structure of responsive tubular and cellular components employs textiles, photo-luminescent, and solar active fibers that absorb, collect, and deliver light within the Smithsonian Arts and Industries building. It is a socially and environmentally responsive structure that is interactive and transformative. 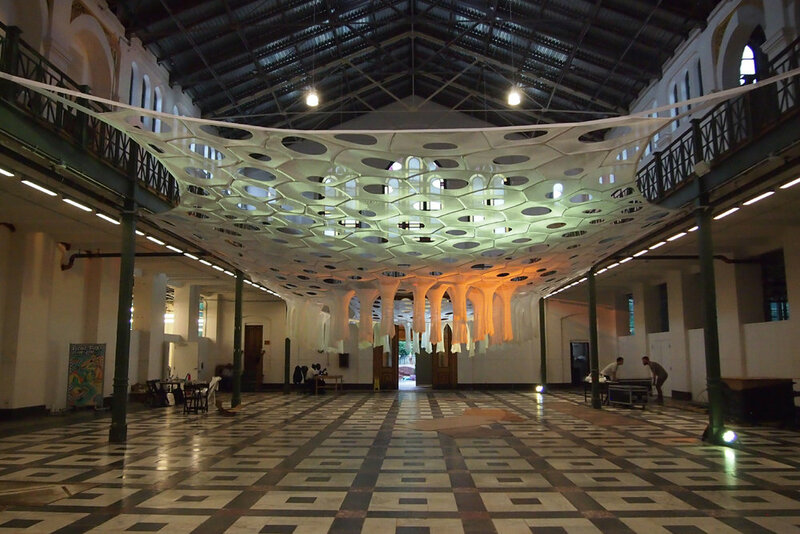 This environment offers spaces of respite, exchange, and engagement as the canopy filters light, casts dynamic shadows on the ground floor, and changes throughout the day. It is an open responsive system featuring digitally knitted lightweight, high-performing, formfitting, and adaptive materials. 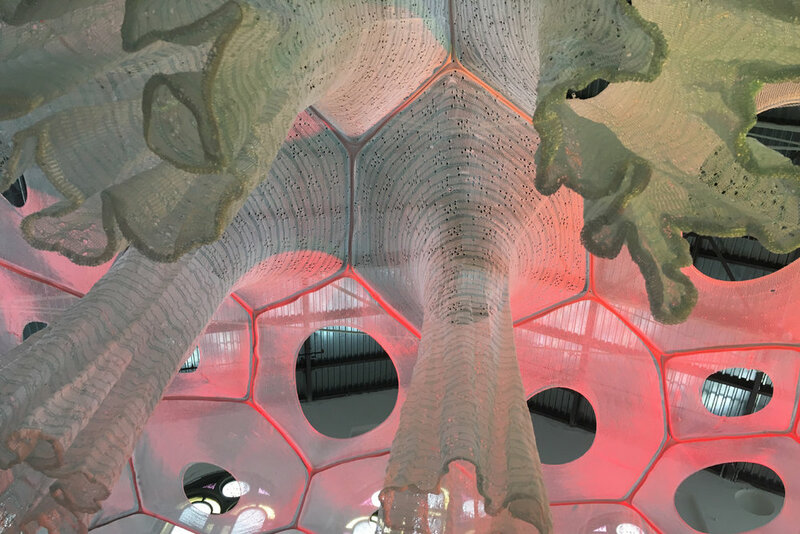 The concept is for a large canopy structure held in tension within the existing building structure that is composed of a gradient of knitted cells that emit light (glow) and transform the environment throughout the day. 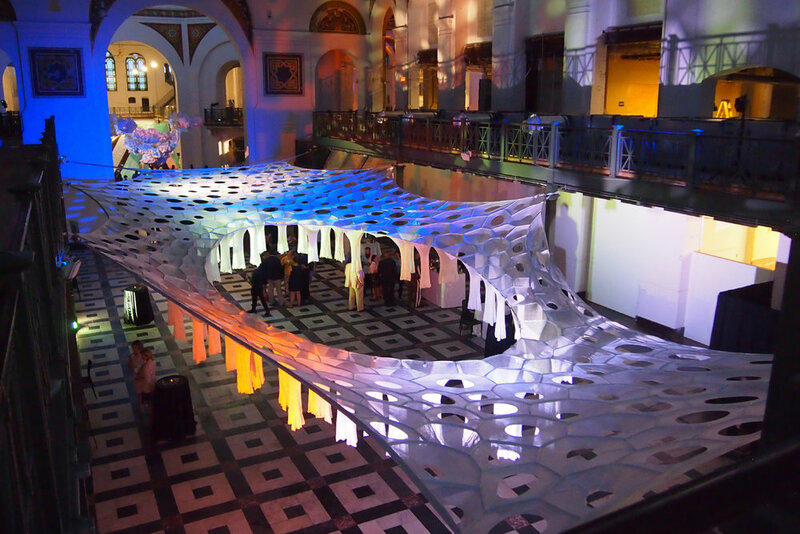 LUX is an experiment, taking risks through collaboration across disciplines to innovate architecture that is transformative, interactive, and socially engaging.